Our UV Sensitive Silicone Wristbands react to strong sunlight, and change colour to remind you about the dangers of sun exposure! Putting children’s safety is top of all parents and carers lists! To help achieve this goal EventEase have developed a range of children’s wristbands with safety in mind. These include our Tyvek wristbands which are hypo allergenic, waterproof and latex free. These wristbands are economical and comfortable but tough wearing with a strong adhesive seal. EventEase Tyvek wristbands are very economical yet tough, safe and waterproof. 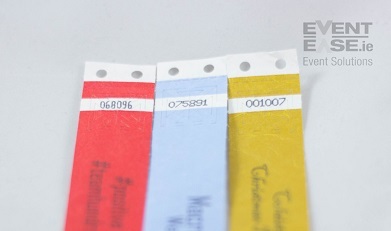 EventEase can customise your Tyvek wristbands with print, logos and text according to your requirements. Silicone wristbands ( also called Rubber Wristbands) are perfect for raising awareness of your brand or fundraising for a cause or charity. They add value to your event, yet are cost effective. They are comfortable, long lasting and waterproof. 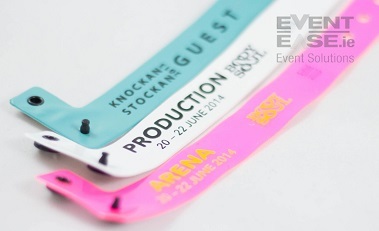 EventEase supply light weight vinyl wristbands which offer maximum security for your event. The snap closure system ensures the wristband cannot be passed back and reused. Ideal for concerts, product launches, festivals parties, bars, aftershow parties and nightclubs. They have a large range of colours and can be adapted to every type of event. 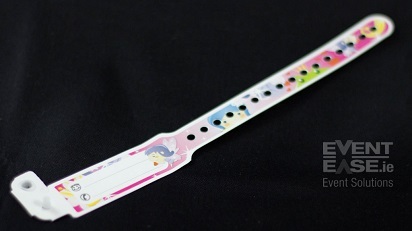 All EventEase vinyl wristbands can be printed with logos, text and serial numbering. They are available in wide face for large logos or text or narrow band for smaller amount of text. When you really want your event to stand put from the crowd,try our EventEase fabric wristbands.Our festival type fabric wristbands are top of the range with additional security features available. 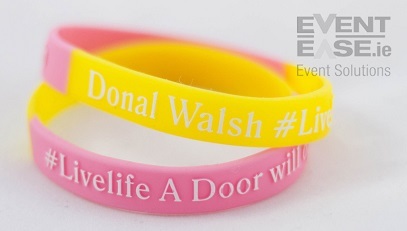 As the official and sole supplier of #Livelife Wristbands, EventEase follows strict guidelines in conjunction with the #Livelife foundation.